I always considered Pizza Inn kind of a down-market cousin to Pizza Hut, at least in the beginning. Given my declining respect for Pizza Hut, I might reverse that opinion now -- Pizza Inn never tried to serve me fountain ice tea rather than fresh brewed. 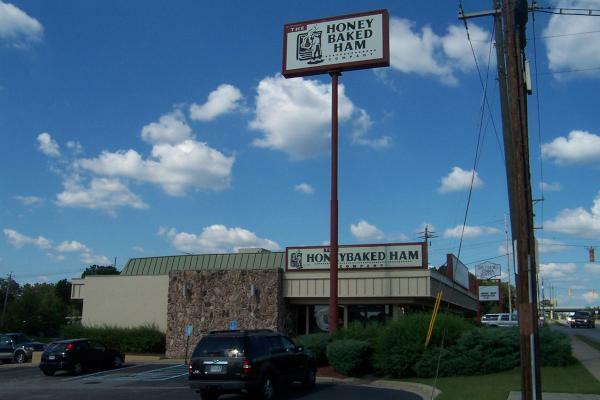 At any rate, while it may not have been my first choice, I never had a problem going to Pizza Inn, and I recall going to this one on Two Notch (now a Honey Baked Ham store) several times. "We'd like a large pan pizza with pepperoni, onions, bell-peppers and mushrooms", he said. "It's not ready yet", the sever said. There was a full stop while we all kind of looked at each other. "Um, yes, we know, um, we'd like a large pan pizza with pepperoni, onions, bell-peppers and mushrooms", he tried again. "It's not ready yet", the server said. "No, no, we're not asking about an order, we just got here, this is our order. We'd like a large --"
"Ok, we understand that it's not ready. If we order it, will we get it? At this point things kind of dissolved in mutual incomprehension and finally a manager had to come over and sort things out. As well as I can remember it, what the server had been trying to get across in a completely unhelpful and inarticulate way (and he was a native English speaker!) was that the crusts for large pan pizzas had not yet risen to the point of being cookable. We got two mediums and all was well despite a suspicion that Allen Funt must be around the corner somewhere. UPDATE 23 Aug 2009: OK, in the comments this place has been identified as having originally been a Sambo's, and I was able to verify that today in old phonebooks at the RCPL. 7451 Two Notch first shows up as a Sambo's in 1978, and is listed for the last time in the 1981 phonebook. Pizza Inn at this location shows up first in the 1983 phonebook. Given that phonebooks only come out once a year, and require a good bit of advance notice, the building was probably not vacant long, despite not being listed as either store in the 1982 phonebook. I don't know what finally happened to the Sambo's chain, but at one time they got a good bit of bad publicity by being associated with the Little Black Sambo story. As I recall, their response was that one of the chain's owners was "Sam" something and the other was "Beau" something and thus the name. That's plausible, but once having thought of a name, they did go on to associate it with the story by having a little Indian kid and a tiger in their logo (which I forgot to scan), and of course the story was set in India to begin with, and "Sambo" was actually a hero, having run the tiger into butter somehow (I'm a bit vague on the details now), but nonetheless in the US the story had gotten racist associations over the years, and if you're in business it's better to cut your losses and change your name than fight that kind of battle. Subscribe to comments with RSS or TrackBack to 'Sambo's / Pizza Inn, 7451 Two Notch Road: 1990s'. Ha ha! I love stories like that. I was in Pizza Man about a year ago, and after drinking beer and waiting for my pizza for about 20 minutes, they told me they were out of pizza dough, because they forgot to make more. I helpfully suggested they change the name of the place to just Man, and walked out. 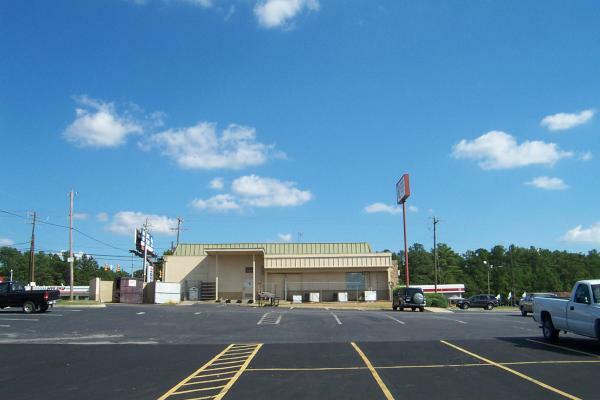 There was a Pizza Inn that occupied the site in West Columbia on 12th & Meeting Street, now occupied by a gas station. The place looked like a dump, we dared not venture inside. Yeah, that one lasted the longest I think. In fact, I assumed it was still there until your comment. Man I miss that place. The one in West Columbia lasted the longest. I loved it but it did go down hill the last few years it was there. They had a great cheeseburger pizza. It actually had mustard instead of tomato sauce. One time I asked if they would put one on the buffet and the guy said I don't know what you're talking about. He was actually standing in front of a poster with a picture of the cheesebuger pizza. I told him to check out the sign behind him and see if he could figure it out. oh btw I think this one closed in the mid 80s. The West Columbia one lasted until about 5 years ago. 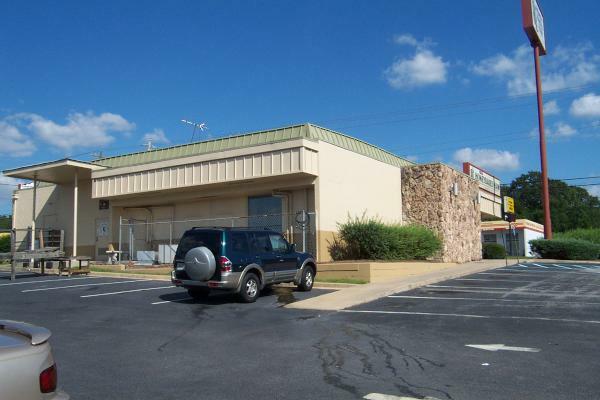 There was also one on St. Andrews Road, where Little Mexico/Cancun was located. Where was the Five Points location? I had no idea, but probably did not venture downtown too much when it was open long ago. I guess I could Mapquest the address on Saluda Drive, but I'd rather somebody just tell me. five pts one was in one of those places that's always changing. I think the Blue sky gallery was there for a little while. Thanks! I had no idea they were ever down there! Speaking of Five Points pizza, who remembers The Villa? The building is now Congaree Grill. I believe the gas station next door was the location of Gene's Pig N Chik. Yes, I remember The Villa there -- a location still exists on Bush River Road just past El Chico heading for Dutch Square. Unfortunately it is totally without windows and is incredibly depressing to go inside. Yer right, the one on Bush River is in no way the same. I'm told that if you scratch hard on the wall in the Congaree Grill you can sort of make out the old hand-painted mural of Venice. Another bygone bit of Five Points wonderfulness -- who remembers The Loft? Absolutely inspired piece of restauranteering to sit in the open air above it all and drink a margarita. The original owner of Village Idiot told me he tried hard to reopen the rooftop but the liability insurance was just too high. I remember the Pizza Inn on St. Andrews. back in the early 80's. They changed to Godfather's Pizza around 1981. And even Godfathers wasn't there for long. It seemed like after Godfather's, they became a new restaurant every 6 weeks, or so. And after Pizza, there was a little mom & pop Ice Cream store in the shopping center across the street, and I'd always get rainbow sherbet. I wish I remembered the name of that Ice Cream place - It was so good. I remember Godfather's was in Richardson Plaza, across from the Putt Putt. I think we're talking about two separate locations. 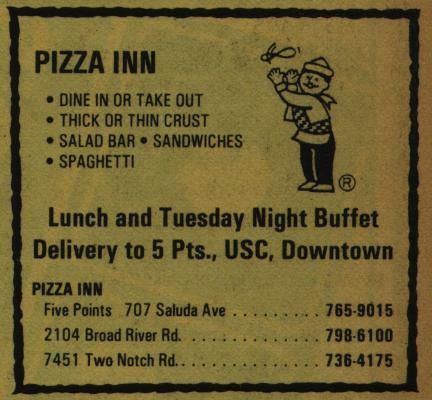 Of course, if you're talking about 1981, Pizza Inn could have moved to where I'm talking about, and Godfather's moved in. I always thought Godfather's and Pizza Inn were extremely similar in pizza quality. There was a place called "Penny's" across the street from the Pizza Inn/Little Mexico restaurant. I remember getting chocolate ice cream cones for a dime. They were located where Deno's is/was. And on the rooftop idea, I remember in the early 90's, when we used to go to Sherlock Holmes in the Palmetto(?) Building, you could go on the roof, but you had to be careful and leave something to keep the stairwell door from closing, or you'd get locked up there. Who remembers Shakey's? Pizza and fried chicken. Hmm. They had a huge projection tv in the dining room and would show old b&w movies. "we serve fun at Shakey's -- also pizza." I also remember Penny's!! It was like the Columbia version of a Wendy's, down to the yellow buildings that were covered with Lincoln's silhouette from a real penny. When I lived in Whitehall, my next door neighbors daughter worked at the Penny's on St. Andrews! But I remember the Pizza Inn was right across the street from Seven Oaks Plaza. Looking at the location on Google Street Maps, it looks like a Mexican restaurant is there now. But the building looks exactly like I remembered. 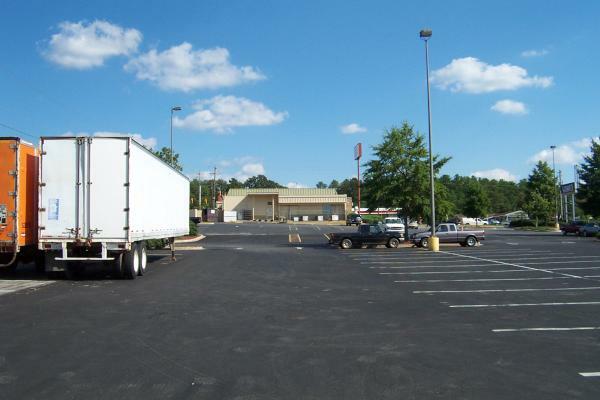 Of course, the Food Lion that's there now, was a Big Star, back then. And there was an Eckerd's Drugs next door, where I'd buy all my Atari VCS games. You're right on! I grew up in Whitehall myself, on Keswick. Do you remember Moe Levy's when they were in Seven Oaks Shopping Center? Also Pentathalon and Phidipides Sports? Penny's was definitely where Deno's was located, across from Pizza Inn, which is where the Mexican restaurants were located. It's vacant now. The guy who owned Penny's lived across the street from me in Friargate when we moved to Irmo in 1976. I remember being able to bring your report card there and if you got all A's you got a free hamburger. Also the Pizza Inn location there became Little Mexico, which for years had the absolute best Mexican food in Columbia. Huge portions and great taste. Recently, the food quality slipped, and i knew that inevitably it would close. It was Cancun for about 3 weeks, and now it is closed. I think maybe there was a split in the family that ran Little Mexico because the older lady who was often the hostess at Little Mexico has now opened a restaurant in the Seven Oaks shopping center right around the time they changed the name of Little Mexico to Cancun called err something. Its a womans name like Rosalinda's or Consuela's or something. Either way, we have eaten there twice and the food has been very good both times. The original McDonalds on Garners Ferry would do the report card thing too. (I think it's still the same franchise, but the original building was torn down and they relocated farther off the road). Speaking of Shakeys Pizza - - we spent many evenings there when I was a kid (late 60's & 70's) - even had one of my birthday parties there - - used to LOVE that place... was so sad to realize that it had closed. I can't remember when that was - must have been when I was away for college in the 80's.. was a fabulous place for a kid tho!!!! It's Cecelia's. I called them one day from the cell and asked her if they had fish tacos. They were not on the menu, but she made them for me especial!! Fantastic food. I have found a few pictures, circa 1980-81, of the Seven Oaks Big Star, before it changed to Bi-Lo. And yes, the Penny's was there, and can be seen in the background of one of the pics. And I was a little bit wrong... The building was brick, but the signs were yellow with the giant red lettering, and the Lincoln-face logo. I will gladly scan them, and donate them to this site. The only problem is I'd ave to blur all the faces out, first. and Johnathan, I originally lived on Valcour Rd. but moved to Shadowbrook Dr. in 1978. I remember the sports store - I used to buy my soccer equipment there. I remember the name Moe Levy's, but I can't say I remember what it was. The only stores I remember were the Big Star, Eckerds, The Counted Thread (my mom was into cross-stitching. I still have a old bag from them, laying around somewhere! ), and Zorba's. As far as I know, there is still a Moe Levy's on Assembly Street downtown. I always thought it was the only one. I grew up around the Putt-Putt on St. Andrews and I don't remember there ever being a Pizza Inn across from it. 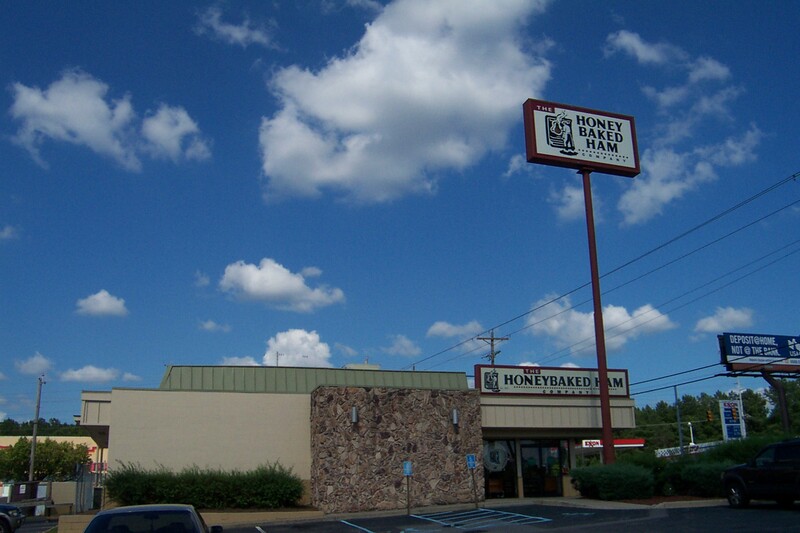 A Pizza Factory, yes, but to get the Pizza Inn buffet I always had to get on the moped and go to Broad River Road. I have never been to Columbia, but am pretty much a "nerd" about these dear old retail chains from childhood. Is there a chance this was a Sambo's location, even before the events you describe with Pizza Inn, etc? This really, really looks like a Sambo's. Just do a search for Sambo's on Google Images. Does, doesn't it? All I can say is that there was no Sambos in the 1970 yellow pages. I'll have to check later in the decade next time I get to the library. Sambo's was on Broad River Rd.at least that's the one I remember. I also remember Shakey's Pizza..I think but not sure that the building is still there on Airport Blvd up from Kmart but it's been a while since I've been up that way since I live on the Ft. Jackson blvd side of town now. I'm surprized that Tony's Pizza is still around and it looks the same as it always did..at least outside it does. Sambo's closed I think due to their name and it offened certain people and that's when Denny's moved in wasnt it? sorry..the word is "offended"..not offened. It's too early to type. There was a Sambo's on Broad River Road and one on Beltline Blvd. by Richland Mall. The one on Broad River Road became a Kettle restaurant and later became Hooters. I remember the Sambo's having a Jungle Book type theme. Tigers, jungle, and Sambo, a small boy like Gunga Din. Ate at both with my dad often. I think Pizza Inn still exists as a chain. Because when my dad and I went to Missouri to see my uncle Christmas 2001, there was a Pizza Inn inside a gas station. Where I bought 2-liter mountain dew to keep in my hotel room. This is Kansas City Guy again. Darrell James. I can't believe how much work I've done since that posting in April 2009. I have 1,500 pics up on flickr.com, of many, many retail establishments, including Sambo's. This does not even touch the over-the-top styles Sambo's used in California. So there may be as many as ten different building styles. 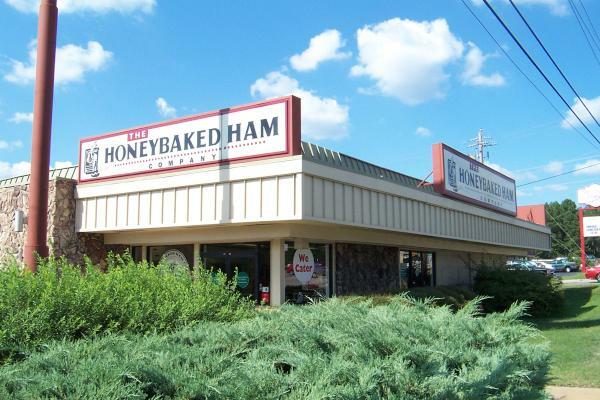 But the link below is for one in Shawnee, KS, one of the Kansas suburbs of Kansas City Missouri, and it's a dead ringer for your Honeybaked Ham store. I've been able to verify today that the place was a Sambo's and have added that to the post title. @Blaine, their Wiki page indicates that they went from a company with 1,200 locations in 1979 to today, they have an outlet in Santa Barbara and some allegations of racial prejudices and some corporate decisions that also hurt them. They rebranded some locations as Season's Friendly Eating and others were sold off to Denny's. The only one remaining, to this day, is their original location in SBA. All the others closed in 1983. For some reason I was thinking that pizza inn was in another building located next to this one. Closer to where Miami Subs was. 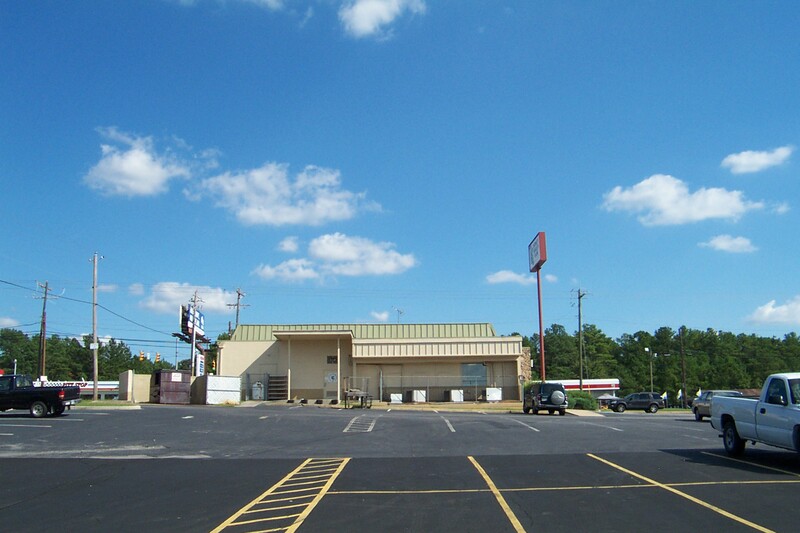 I went to Pizza Inn in conway last fall and really enjoyed it. Their buffet is good but I don't know if I'd go in and just order a pizza. Oh and I remember there being a place after pizza inn that was called Delights. Sambo's was in the building that is now Honey Baked Ham. So was Pizza Inn. I went to both. They were in front of the old Spring Valley theaters which is now Lowe's. There were not two buildings side by side. Where Miami Subs was and the Chinese restaurant is used to be a Elliot's 76 staion (a truck stop) and Elliot's Restaurant. Elliot's later moved farther up Two Notch across the rr tracks. It is now a Lizard's Thicket. And I never quite got the issue with the story "Little Black Sambo" because Little Black Sambo, Black Mumbo and Black Jumbo are INDIAN! Tigers live in Asia. Don't let logic stand in the way of a chance to be offended. I think the D'Lites place was actually the next building over, which is now the Sprendid China Buffet. There used to be a Pizza place on north main right past earlewood park, I'm thinking it was a pizza inn?